used on dining room table. This product is Very Hard to Find in the 70" Round version!!! Not only that it is very well made and outlast other similar products by leaps and bounds!!! And at a reasonable price. 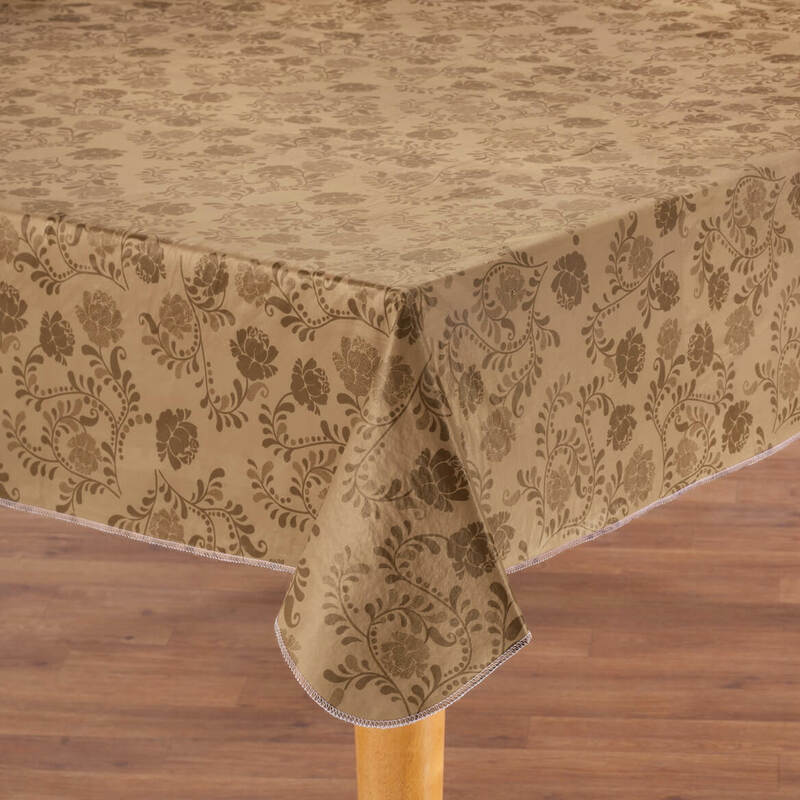 Really like vinyl tablecloths--so much easier to keep clean. It's very hard to find them. Wish they had more styles in the size I use. Looks great on my deck table. Could be a little thicker flannel backing, but for the price, it's worth it. I will definitely buy more of this product. 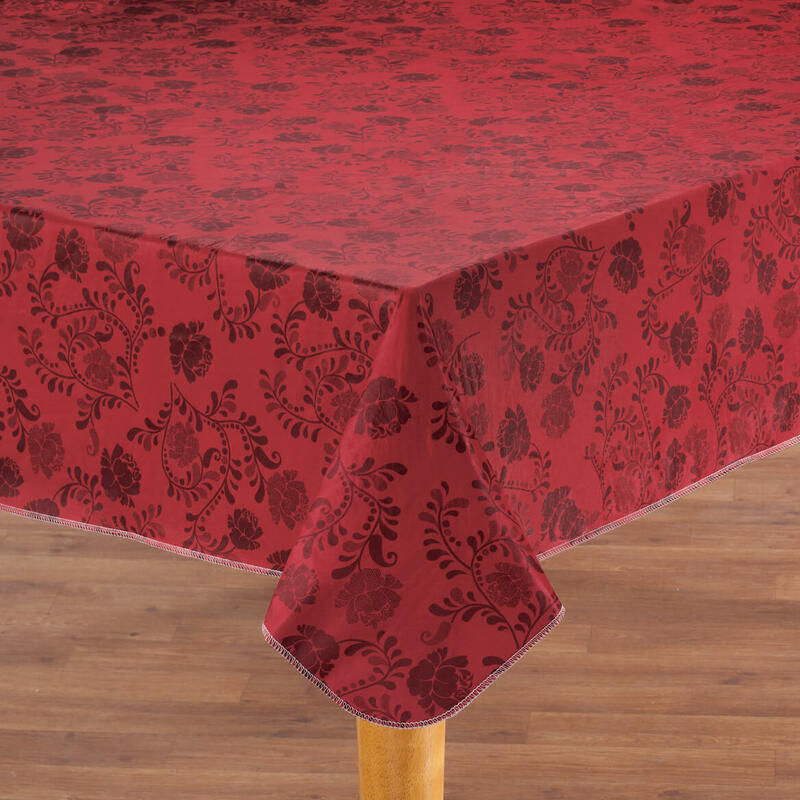 It's hard to find good quality vinyl table cloths. This one is good, and I expect it will last for quite a while. MY table is 2" wider & longer....this just barely fits, but is such good material & quality ..... we'll make do until more sizes available! 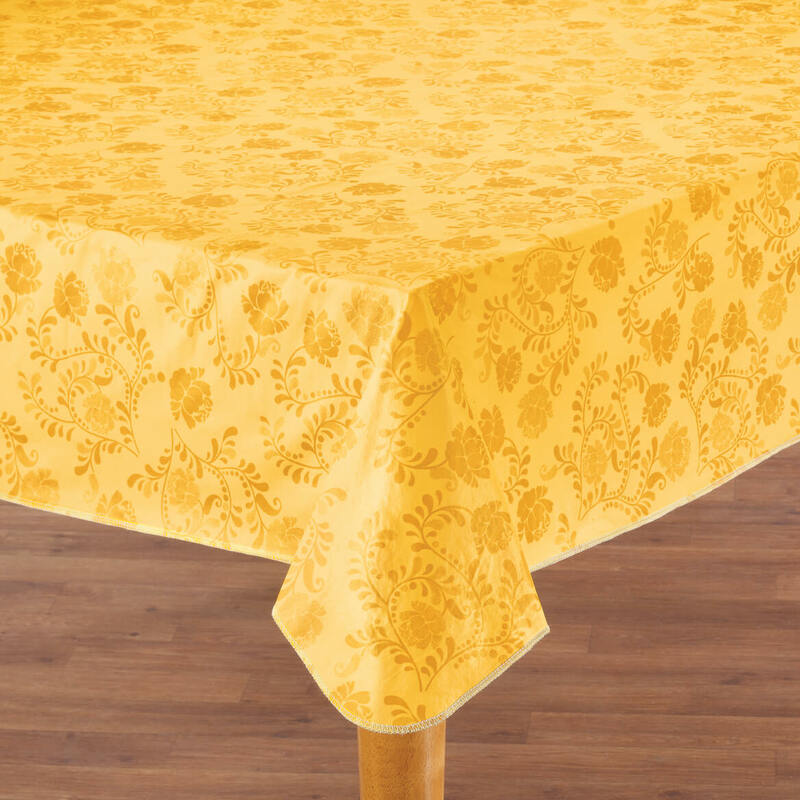 This table cloth looks nothing like it doe on line. It is very cheap looking and I would not recommend it. colors, like print and it's vinyl, size needed. 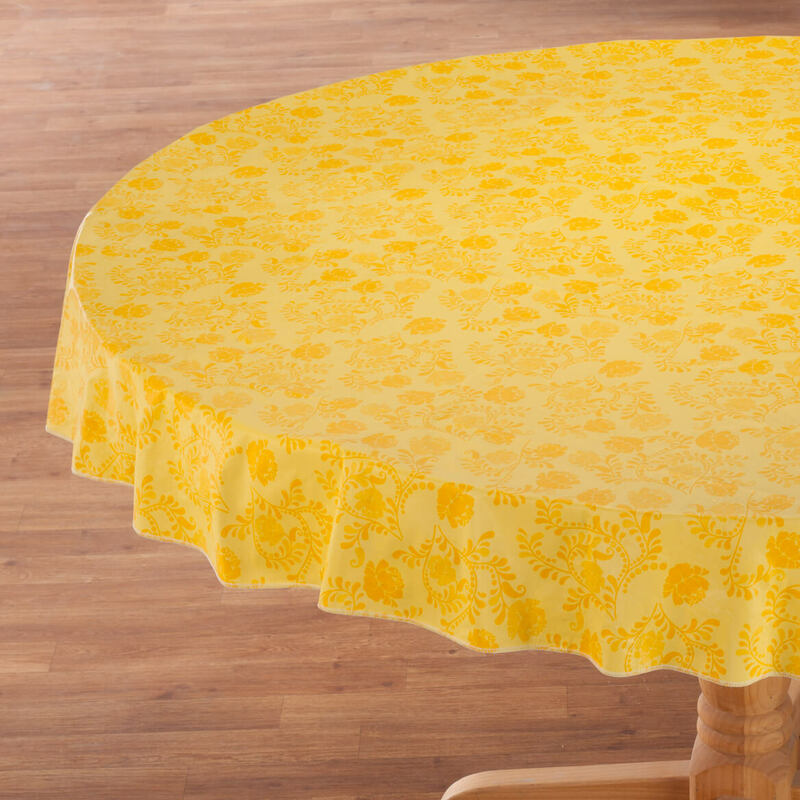 I need an Oval shape table cloth and this was the one. 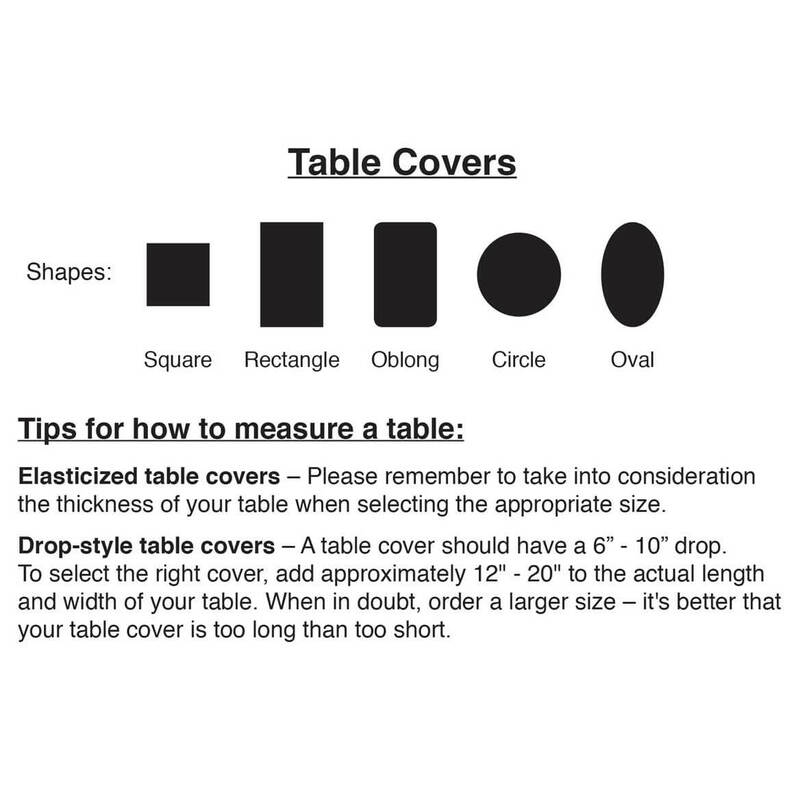 vinyl top protects table and can be wiped off. I need a tablecloth I can wipe off, and not wash all the time. I like the pattern and that I can wipe it clean. 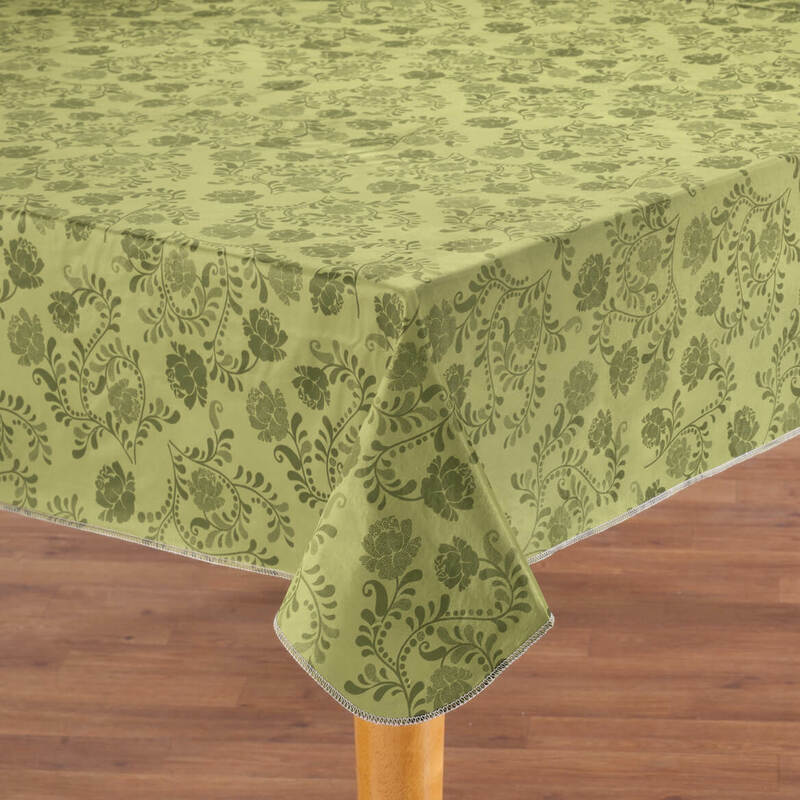 Unable to find vinyl tablecloths in my area. I like the ease of a vinyl tablecloth. I am going to use a lace tablecloth over it. Just wipe it off and it is clean. I like the quality and this is my third one. I had tried to buy vinyl tablecloths locally and they showed wear after one day. 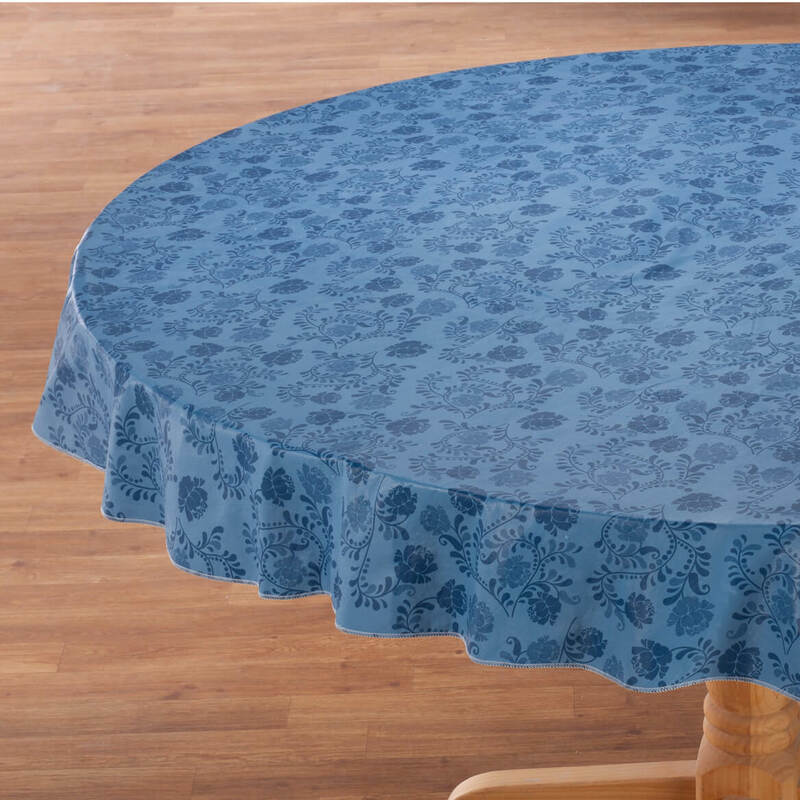 This tablecloth is different! I have used it for 6 months and it still looks good! Thank you! I AM HOPING THAT THE VINYL TABLE COVER WILL BE EASIER TO CLEAN. You are the only company that offers the size I need in vinyl. We have a large wood table that has marks on it and it needs to be covered until we can get it redone. style , size ,color and being flannel backed . Price also helped. They are the best I can find. With a small child in the house thought this would perfect for those little mishaps which are bound to happen and the table is perfectly protected and it still looks nice. I like the colors offered; and also the flannel-backing to protect my table top. Looks very pretty for a vinyl tablecloth. I needed the color blue for my kitchen and it had to be vinyl. was happy with the one I currently have but it is wearing out so I need a new one. I liked the design and that it came in the oval size. Changing from cloth to vinyl. 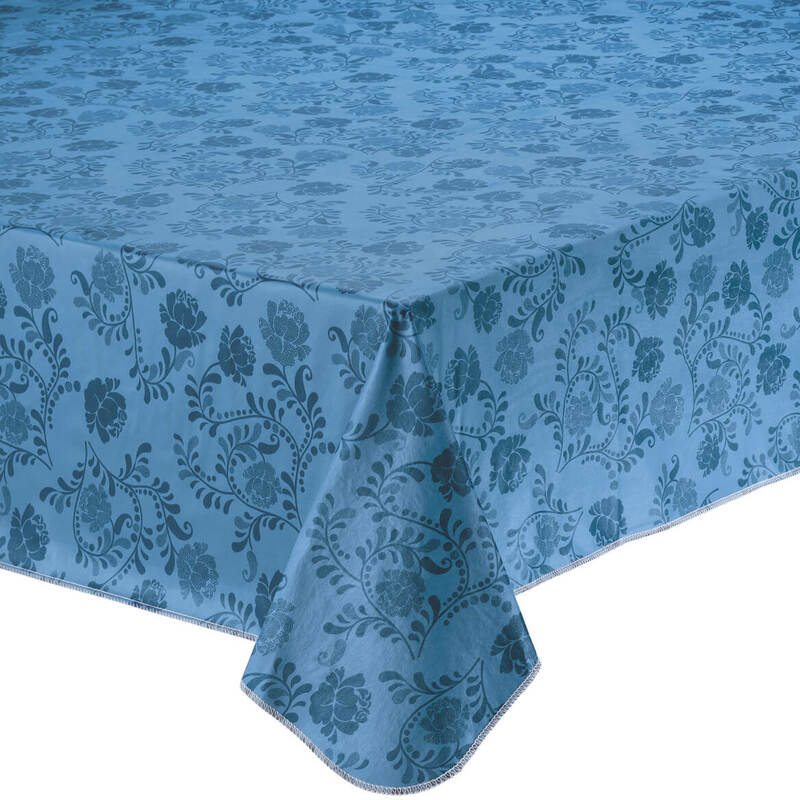 i have a hard time finding 70" tablecloths, so I am thankful we found one. I need a vinyl tablecloth (grandchildren!) and this will look very nice in my dining room. I really like the color and design. do you have 60" x 102"? BEST ANSWER: Thank you for your question. 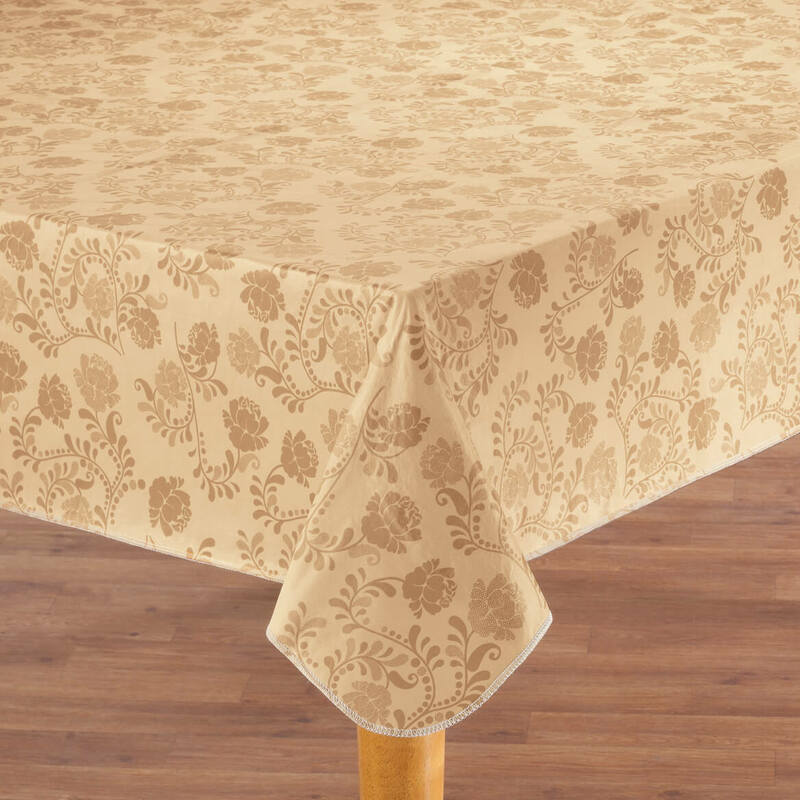 We do not sell this table cover in that size. We hope this information will be of help to you. my table is 48 x 72, do you have anything to fit? BEST ANSWER: Thank you for your question. 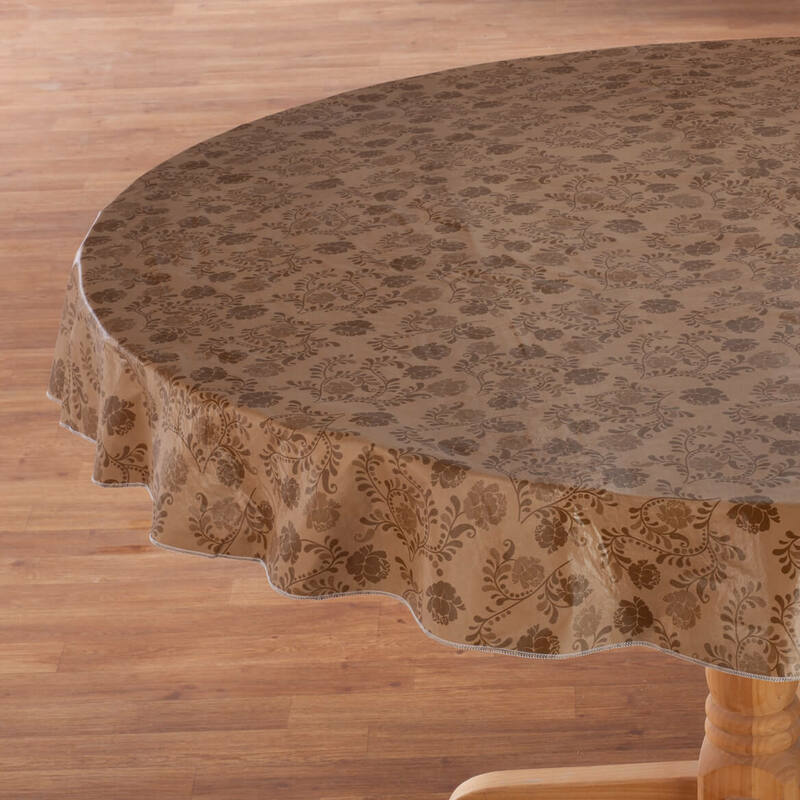 You could try the 56" x 72" oval, but no, we do not have a specific table cover in that size. We hope this information will be of help to you.